Before Batya Perman parted with the heirloom oak bookcase that stood sentinel in her home for 43 years, she carefully perused its volumes in order to distribute and discuss them with her family. She located a master woodworker to disassemble the bookcase into smaller pieces so it could fit through the doorway of her son Uri’s new home. A legacy from her great-uncle, New York State Supreme Court Justice Harry Lewis, it now holds Uri’s own books and mementos as well as the law and Judaica titles he inherited, including a chumash inscribed to his great-grandfather. Like the process of moving the bookcase, aging well takes planning, says Perman, 68, a pioneer in the field of senior move management, which helps older adults and their families “rightsize” when they downsize—paying attention to what has value and meaning as they transition to a new home. Perman is also director of the Wise Aging program at the Institute for Jewish Spirituality in Manhattan, whose goal is to reframe later years as a time of opportunity instead of decline. Based on the book Wise Aging: Living with Joy, Resilience and Spirit by Rabbi Rachel Cowan and Linda Thal, the three-year-old nationwide network has trained over 400 facilitators to guide peer groups for people who want to face the next phase of their lives with self-awareness, equanimity and intentionality. 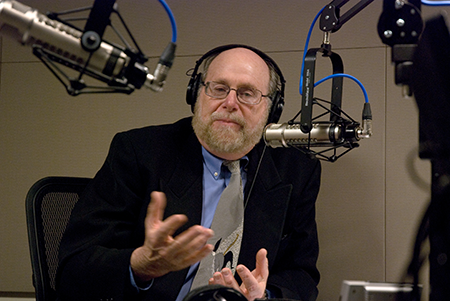 “Baby boomers are seeking community, driven by the need for relationships and socialization, and for their Judaism to speak to their life changes,” says Rabbi Richard Address, 73, founder and director of Jewish Sacred Aging, an online forum with resources and texts, a podcast and a Facebook page with 27,000 followers. 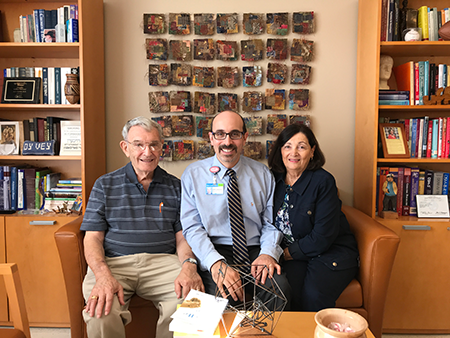 His offerings and the Wise Aging program at the Jewish Spirituality institute are among a number of initiatives that have sprung up in the Jewish community in recent years to directly address the emotional and psychological components of aging. “This is a spiritual revolution that focuses on fundamental human questions of meaning, life and purpose: Who am I? What is my place? What do I want my legacy to be?” says Address. Those in the generation that wants to stay forever young are actually the first in history to consider the real possibility of living until their 90s and even 100 and beyond—and that spells more freedom and purposeful living. 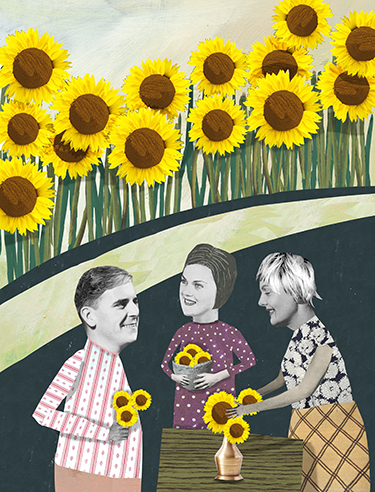 Wise aging groups, encore careers, activism, volunteerism and new rituals are some of the ways boomers are learning to inhabit the so-called third stage of life. Several recent books address the subject directly and leaders in the field hope to smash the stereotypes of older people as a burden on society, viewing them instead as role models and success stories. Rabbi Laura Geller, 68, rabbi emerita of Temple Emanuel, a Reform congregation in Beverly Hills, Calif., points out that no single name for this period of life has caught on. “Am I a senior? An elder? An older adult?” asks Geller, who, along with her 70-year-old husband, Richard Siegel, helped found ChaiVillageLA, which assists older adults in maintaining vibrant lives while remaining in their own homes. The village concept counters the three main fears Geller found when she surveyed her older congregants: being invisible, isolated and dependent. Their village is part of the nondenominational neighbor-helping-neighbor movement that began about 15 years ago and now includes over 200 villages across the country. “People have been getting old forever, but with the extension of longevity, we now have a new phenomenon between retirement and frail old age. What will we do with that middle part of our lives that will sustain our vitality?” asked Siegel, who passed away in July after a two-year cancer battle. In Scottsdale, Ariz., a recent gathering of participants and facilitators from nine local Wise Aging groups—mostly women—celebrated the one-year anniversary of their meetings. They were educators, lawyers, doctors, psychologists, social workers, event planners, engineers and businesspeople. Some were retired, others were not. Over breakfast, they talked about the deep friendships they had made while engaging in eye-opening discussions on topics from body image to forgiveness. “By living, I’m aging, so they are one and the same,” says Laura Rotter, 58, who found her way to a Wise Aging group for different reasons. She was a successful Wall Street money manager until five years ago, when she realized she was bored and uninspired in her career. 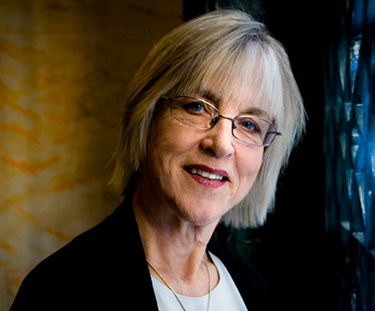 Like others who change direction in midlife, she questioned whether her profession aligned with her values. She became a yoga teacher, established a daily meditation practice, enrolled in a two-year course at the Institute of Jewish Spirituality and founded her own financial planning firm. After her mother retired and began to struggle with physical disabilities, Rotter decided to pursue the Wise Aging training and facilitated a group at her Reconstructionist synagogue, Bet Am Shalom in White Plains, N.Y. The eight women in her group faced a variety of issues: one lost her husband and mother in the same year, another was recovering from both breast cancer and divorce. Jewish leaders on aging believe that synagogues can serve as starting places for the journey. 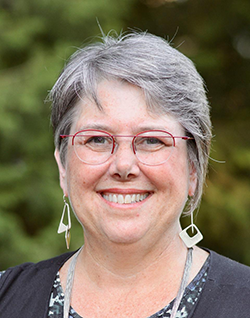 Address, the rabbi who heads Jewish Sacred Aging, guides congregations in instituting “legacy programs” where people build “spiritual autobiographies” that help them think about their beliefs, goals and the ethical legacies they hope to leave behind. He also structures separate workshops on caregiving, economics and new rituals written by laypeople and rabbis. The rituals, often expressed through prayer, tackle life transitions like solemnizing unmarried adult cohabitation, becoming an empty nester, leaving a family home, being welcomed into a nursing home and signing an advanced directive or living will. Despite that built-in wisdom, Friedman warns that the Jewish community’s fear for its future sets up a focus on the young that often dismisses the old. “Synagogues worry about attracting and maintaining young families but not much about those in midlife and beyond who are leaving in droves. 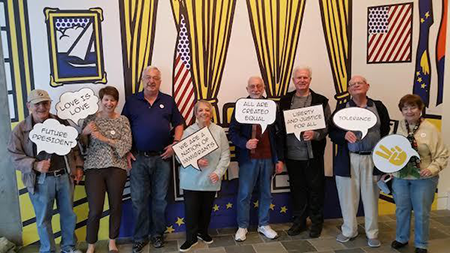 We need community more than ever as we age.” Some organizations are taking notice: B3/The Jewish Boomer Platform and the Union for Reform Judaism’s Engaging Baby Boomers Community of Practice are introducing new outreach efforts for boomers and beyond. “You could argue that a good synagogue is a village,” said ChaiVillageLA’s Siegel, who retired in 2015 as head of Hebrew Union College-Jewish Institute of Religion’s Zelikow School of Jewish Nonprofit Management. He applied for and received a grant for the village from the Jewish Community Foundation of Los Angeles—but the foundation stipulated that Temple Emanuel had to partner with another local synagogue. Temple Isaiah, also a Reform congregation in the Los Angeles area and formerly a competitor for members, came on board, and ChaiVillageLA was born. Some groups that meet the need for socialization and community are not geared solely to seniors. Shireinu Choir of Long Island, a new community choir in Great Neck, N.Y., drew 50 participants ages 32 to 80 when it was created last fall. “People crave connection as they get older,” says Sherry Husney, 63, one of the founders. ​Involvement in organizations and social activism can help people remain connected and active. Agronin says all the women in his family, back to his great-grandmothers in the 1920s, have been Hadassah members; Cherkasky led the Appleton chapter. Like so many members of Hadassah today, Agronin says of his family members: “Hadassah anchored them to their Jewish identity and faith as well as to generations of women in their family who worked to better the community.” It also connected them to Zionism and the State of Israel. Wise Aging is a program of the Institute for Jewish Spirituality that offers facilitators and training for national peer groups. Jewish Sacred Aging is a forum with resources, texts and discussions for baby boomers and their families. Growing Older offers pastoral counseling, teaching and resources for older people, caregivers and communities. B3/The Jewish Boomer Platform and URJ’s Engaging Baby Boomers Community of Practice are introducing new outreach efforts to the boomer population. 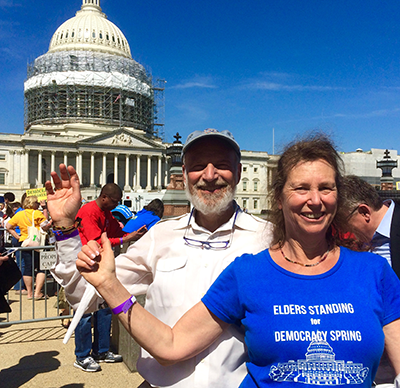 Conscious Elders Network is actively addressing societal and environmental challenges facing the United States today. Sage-ing International works to transform “aging” to “sage-ing” through workshops, webinars, wisdom circles, Sage-ing chapters, online resources and conferences. 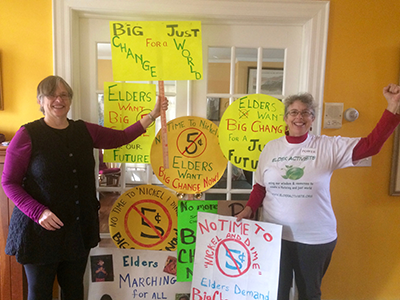 Elder Activists educates and inspires elders to create the legacy of a just future. AARP provides a wide range of resources and information related to aging. American Society on Aging provides educational resources, conferences and publications for practitioners, educators, administrators, policymakers, businesspeople, researchers and students in the field of aging. Rahel Musleah, a frequent contributor to Hadassah Magazine, leads tours of Jewish India and speaks about its communities (explorejewishindia.com). This is an inspiring and energizing article! Thanks, dear Hadassah!